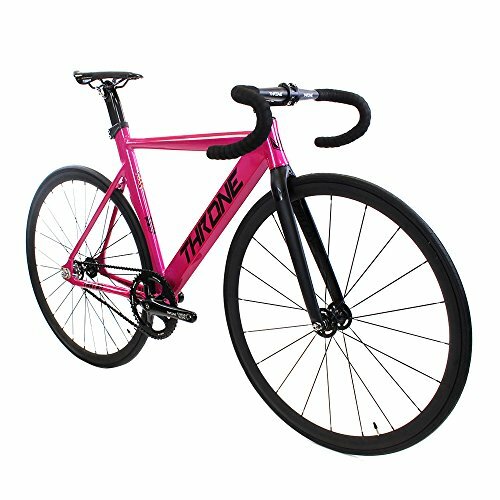 Whilst Throne Cycles got down to be offering a track Motorbike that was once distinctive in each and every method conceivable they created the Track Lord. 4 years later they made up our minds it was once time to redefine and upgrade their core frame, introducing the brand new 2017 TRKLRD. With a certainly one of a type hydro-shaped down tube and a geometry as a way to slay any crit or velo. The all new TRKLRD is certainly some of the competitive frames Throne has ever designed. Created with an aero seat tube and hand crafted seat post for the very best fitment. Keeping the beefed up cnc-stainless-steel dropouts to reinsure the most efficient grip lock Whilst tightening up the rear wheel. The Throne Track Lord Mounted Equipment Motorbike entire build is provided with Novatec sealed bearing wheel-set and bladed spokes in conjunction with Throne Cycles Alloy parts.